A team of ten Year 9 pupils from Victoria College represented Northern Ireland at the National Finals of the First Lego League (FLL) competition on Sunday 1 February. The College team was victorious in the Regional competition in W5 in December when the girls demonstrated their innovative technology and robotic skills. The team from Victoria College were challenged to find a way to help children learn. They designed an interactive dog that helps build confidence and encourages children to read aloud. Additionally, the team built and programmed a separate Lego-based robot that had to complete a series of tasks within a time limit. The girls had external mentoring from Andrew Mulholland, a first-year Queen’s University Computer Science student, in line with the competition guidelines to help get to this stage. The team were sponsored by local company Kainos. Victoria College is also due to receive mentoring from Sheree Atcheson, the Founder of Women Who Code UK. Through sessions at the school and workshops in the coming months, Sheree will be encouraging school-age girls to become more involved in technology. The FIRST Lego League team were also invited, through the STEMNet Club, to meet with the Lord Mayor, Nichola Mallon, who congratulated them on their wonderful achievement. 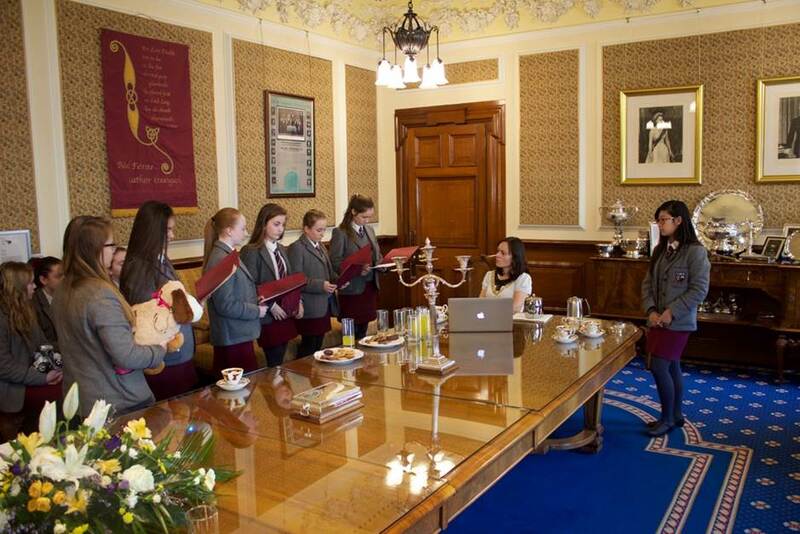 The girls were delighted to have this opportunity to chat with the Lord Mayor about their winning project in the Lord Mayor’s Parlour. Posted on February 9, 2015 by Victoria College.